Can't find the sermon you were looking for? 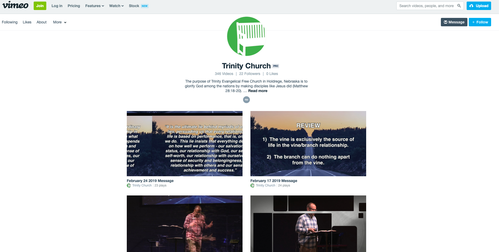 Check out our archive of sermons on Vimeo by following the link below. You can also request a DVD copy of a sermon by contacting the church office.